We are still going through the oodles of info we brought back from PAX Prime. Bear with us, there's still quite a bit to cover. In August, Playstation Plus members were allowed to vote for one of the free games. Though the Ubisoft published Grow Home eventually won the voting, I cast my vote for Armello; a digital boardgame with an interesting, Redwall-esque aesthetic to it. Later, while wandering the Indie Megabooth at PAX, I happened upon its developer's booth and was given an opportunity to play. Armello is the product of League of Geeks, an indie game developer based in Melbourne, Australia. It's their first major release since they were founded in 2011 and the team is really excited by its success. Armello was crowd funded two years ago and has had a steady string of updates since. After a while in early access on Steam, the game was released earlier this month to rave reviews. 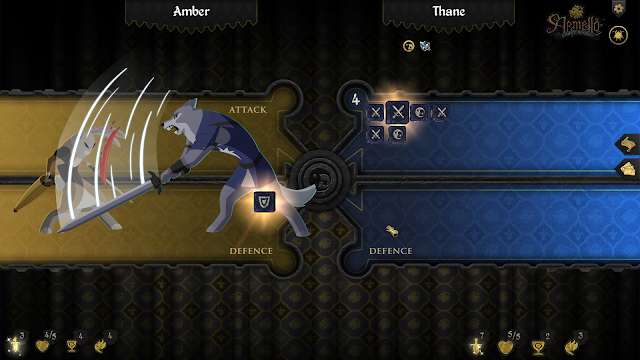 As I said above, Armello is best described as a digital board game. Players choose a hero from among seven animal clans, each with their own look and abilities. The game is played on a hex based board with three other heroes controlled either by AI or other players. The heroes compete to wrest control of the throne from the corrupted king through combat or by way of succession. There is a lot that can happen in a given round, and it's easy to oversimplify the game, but the beauty of Armello lies in its intricacies. Though it is played as a board game, there are elements to it that couldn't be done in a traditional tabletop medium without a convoluted and inaccessible ruleset. Things like combat (carried out by rolling opposing dice to determine attack and defense) are simple enough, but add the random quest system, day and night cycle, npc enemies, the reputation system, the inventory, spellcasting system, and the random play space and it's clear that this game is only possible in a digital format. Each of the numerous elements in Armelllo is interesting and keeps every game lively and unpredictable. The AI is challenging and uses the game's systems well. The different hero's abilities give more personality to the creatures. The late game is awash with trickery and underhanded tactics that can make some moments feel like a Redwall fan fiction written by George R.R. Martin. I'm usually not swayed too much by the graphical prowess of a game. Often I'm more interested in the games mechanics and underlying systems or the cohesion of the art design and style. With that said, Armello is breathtakingly beautiful. The card art is wonderfully drawn with rich color and elegant linework. Comparatively, the 3d models of the heroes look as though they leapt out from one of the cards. The animations -though less dynamic than some games- are smooth and add more personality to the heroes. 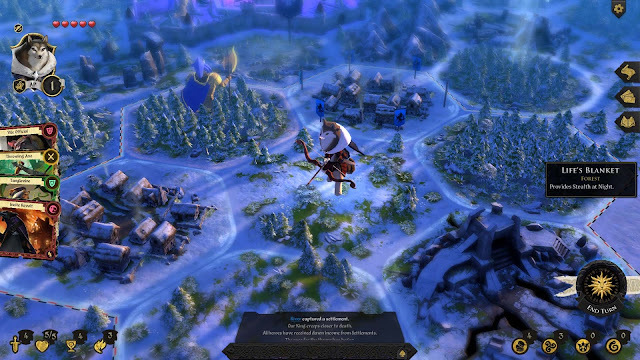 Armello may call itself a board game, but it has numerous ties to multiple genres. That none of those ties feels stretched, forced or anything other than perfectly normal is well deserving of praise. I've not come across a single person that didn't fall in love with Armello. Its appeal is nearly universal, its strengths are easy to see, and its faults are so few that I could list their entirety in a tweet. Pick this one up.